I just want to make sure that's we're all on the same page. The problem is that so often we assume that we're all on the same page, but we're really not. And it can be embarrassing, and uncomfortable, when it occurs to you a little while into the conversation that you're not. You're a little too far in, and you don't want to say anything. Things need to be stated up front. To that end, today's truth is this: Any point of view can sound convincing. Have you noticed this? The flaming 9/11 truther's can fire off so many half-truths and pseudo facts that you might just believe them if they say you weren't really born. There are real people on this earth who have jobs who believe that the earth is flat. There are people who are still pushing, fervently, for impeachment, as if that were even on the same planet as possible. All beliefs are not created equal, and these beliefs are not as valid as believing that the US went through a civil war or that man walked on the moon. But if you give them enough time, they'll make you second guess that assertion. There really is no such thing as, "An intelligent person can't believe that." I'm sorry, there is just more to it than that. We have to confess to the fact that we're not Vulcans, that we do not utilize our faculty for logic as our only path to figuring things out. Our emotions and intuitions intermingle and sometimes sway over our reason. We have stunning irrationalities that permeate our day to day life so much so that they're predictable. Furthermore, ungrounded logic in so many ways is useless; give it enough time and it folds in on itself. Take any fact, reason upon it for long enough, do enough linguistic gymnastics and speculation and it will mean whatever you want it to mean. Don't believe me? That's fine, but you have to believe Simon and Garfunkle: "A man hears what he want to hear and disregards the rest." Don't believe them? That's fine, but you have to believe God: "The heart is deceitful about all things, who can know it?" Don't believe God? 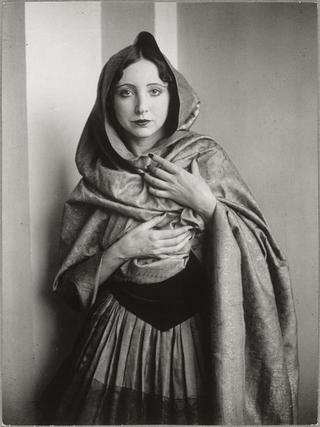 That's fine, but you've got to believe Anais Nin: "We don't see things as they are, we see them as we are." The point is that if you hear something that you know is not truth, but it sounds very convincing, don't be surprised. Lies can sound just as convincing, if not more so, than the truth. Do you know why we're intrigued by crazy? Because they sound so confident, they just might be onto something, and, you know, they told Galileo that he was crazy. And doesn't sometimes seem like maybe we're the crazy ones, and the people in the loony bins are the ones who actually have it figured out? No. No. Of course not. But that kind of bullcrap gets you points in polite society. It's so very profound to say, "All I really need to know I learned in Kindegarten," but I'd like to see your kid give my grandpa the open heart surgery he needs.